Looking for a wooded retreat? 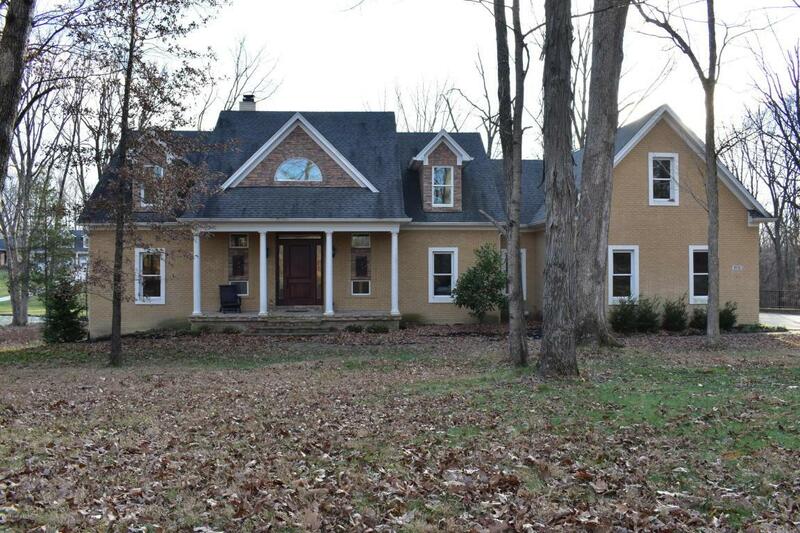 This custom built home is nestled among 5 wooded acres. You will find hand-scraped maple flooring throughout the home. Travertine tile in both kitchen and master bath. Granite counter tops from Italy. Antiques created into vanities in master bathroom and great room. Stainless steel appliances in kitchen. Extra thick insulation throughout. Built-in sound system. Wood burning fireplace in great room and propane gas fireplace in master bedroom. Screened in porch accessible through kitchen/great room. Patio with hot tub and a beautiful view of the woods. 3 plus car garage and large storage area above garage. Plenty of room for entertainment in the finished walkout basement. SELLER IS MOTIVATED!